This entry was posted on Tuesday, June 30th, 2009 at 4:59 am and is filed under Photography. You can follow any responses to this entry through the RSS 2.0 feed. You can leave a response, or trackback from your own site. 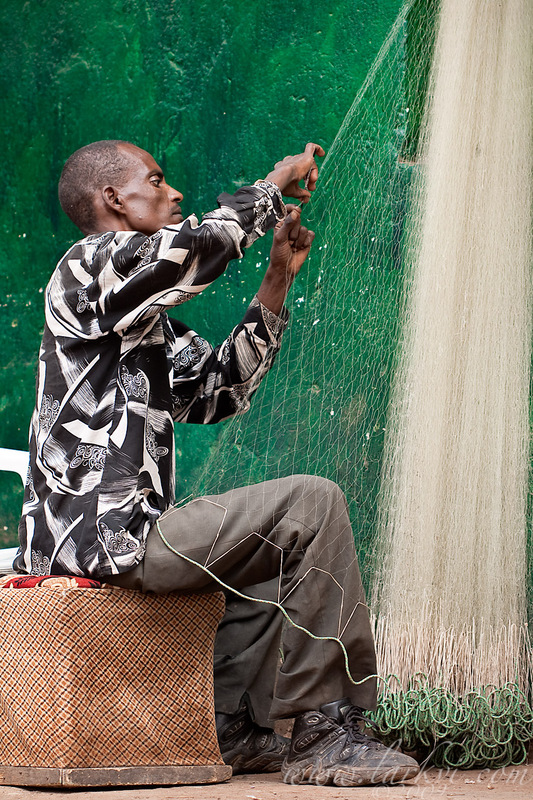 A man repairs his nets on Sunday after church, readying himself for another week of fishing. I believe most of the fisshing in Lake Tana is for perch, and the ‘asa dulet’ (fish goulash) here is the best I have had in the country.